I am always looking out for better products to use. 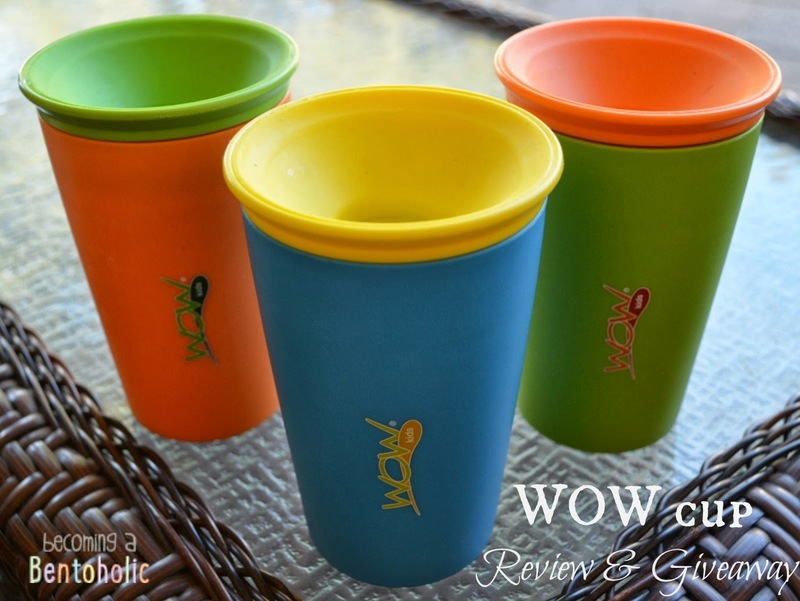 While watching television with my kids one weekend, this amazing product called a Wow Cup was featured on an infomercial and I NEEDED to try it!!! In case you did not know, I am also a mom to a busy toddler. He is into everything and makes many a mess including tipped over drink messes. Features of the Wow Cup include: 360° drinking edge; spill free without any spouts, levers, or buttons; BPA, phthalate, and PVC free; dishwasher safe; and holds a capacity of 9 oz of liquid. Wow Cup comes in six colors: pink cup with blue top, orange cup with green top, purple cup with pink top, blue cup with yellow top, yellow cup with purple top, and green cup with orange top. Mix and match the different pieces of your Wow Cups for your very own color combination. What did the little guy think? He loves it and he finds it extra fun that he is allowed to hold his cup upside down :) Wow Cup lived up to it's name in all of our testing. We never experienced a spill from the cup tipping over. The only time we experienced any liquid escaping the cup is when he held the cup upside down and started banging it on the counter (toddler abuse) and that is to be expected! We love these cups and I am riding my cabinet of all other sippy cups!!! 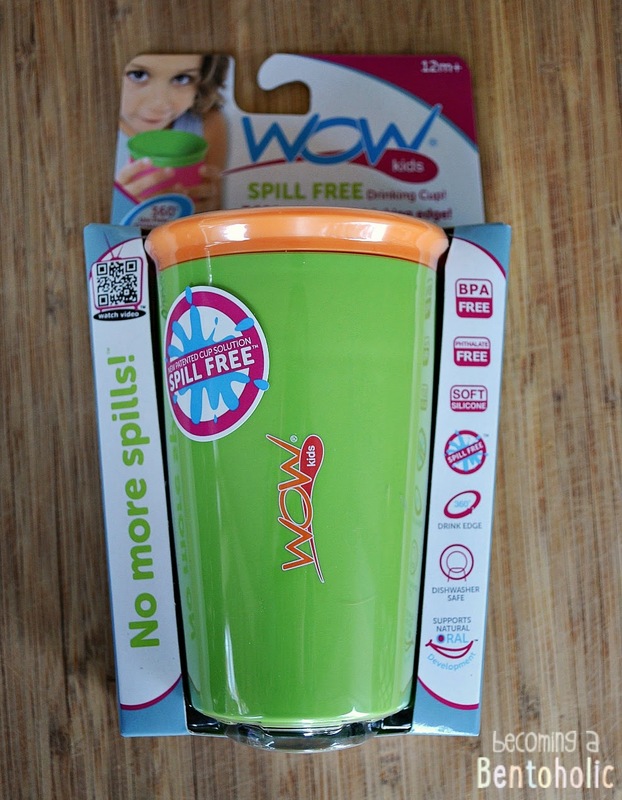 Wow Cup has offered to give away one of their spill free cups to a lucky reader. Winner chooses which color they would like. This giveaway is open to U.S. residents only. Please enter the giveaway widget below and follow the instructions. Entries that do not fulfill the requirements will be deleted. Giveaway ends 3/24/14. Winner will be notified via email and has 48 hours to claim prize. Good luck! Currently, Wow Cup is running a photo/video contest. Five winners will be chosen and each winner will recieve a $100 worth of Wow Cup products! For more information about that click here. This product is available at wowcup.com or on Amazon. Disclosure - All product opinions are my own and are based on my own use of the product. All product information is from the Wow Cup website or product pamphlet. I received free products in exchange for this review. I would love the pink cup for my daughter! What a great review and thank you for the chance to win one! I would love any color. My kids would like them all! Love the pink with the blue lid! I like the blue cup. Any color would be fine. I really need one of these for my son.He has autism and is 5.He is still drinking out of sippy cups because he spills every where....this would be perfect! I would get the green, great for my son & daughter! Where in South Africa am I able to buy this cup? Its a definite NEED! !